Once you’ve created or edited progress reports, you can notify parents and students and share the reports in the parent and student portals. You can check to see what the parent and student sees by checking your Privacy Settings from the orange menu button in your tracker. 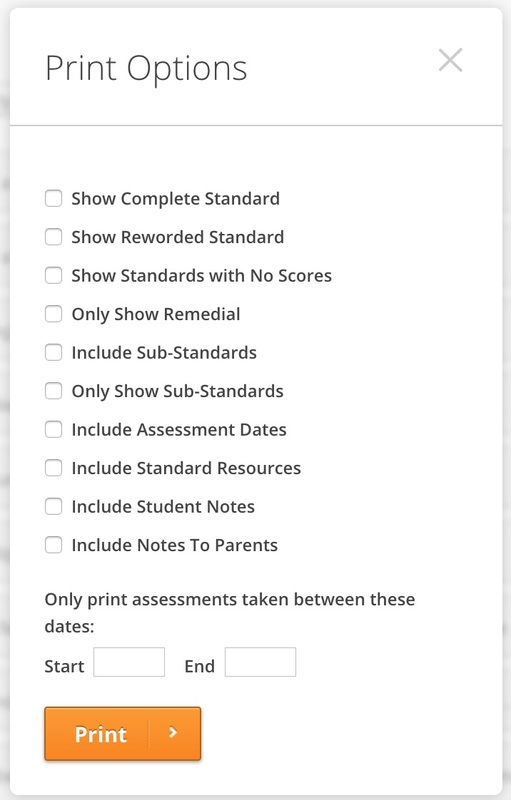 Parents will see their student report and may also click on the standard and see the full description and reworded standard if you chose to add that. 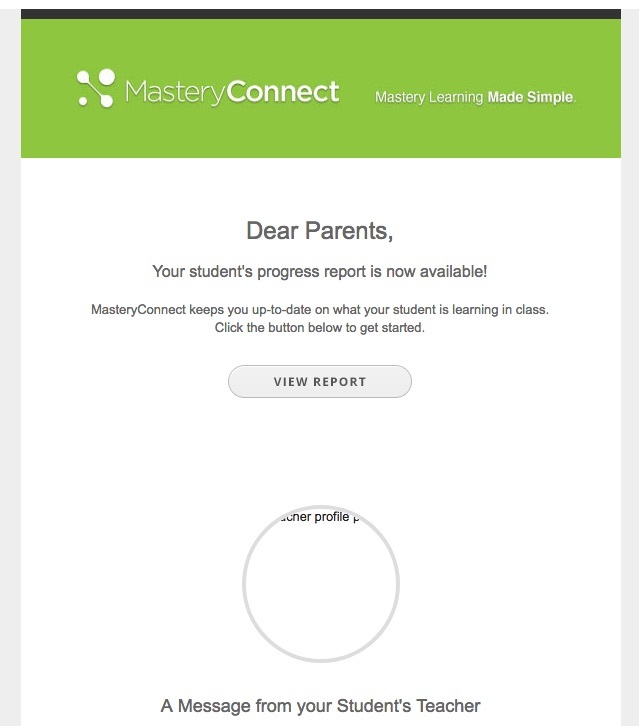 From the parent portal they can click on View Reports and see the child's mastery levels, their progress timeline and any notes you have included. Click on the Student's name in the tracker. Click on the Email Parents button on the right side of the report. **Note: If you do not see this button, there are not emails associated with the student. You can add emails by editing the students profile and adding parents emails. You can also email an entire class by clicking on the orange menu button and selecting Email All Parents. The parents will receive an email notifying them that the progress report is available. Once you have emailed the parents they will be able to see the report and have access it to it from then on. To print a report, click on the student's name. Click on Print Report on the right hand side. A dialog box appears with different options to include in the report. Select the options you want to include. You may even select a beginning and ending date, if you only want to print information for a unit or a term.